Saimaa Fishing Travels is the winner of the competition ”Finnish Fishing Travel Company 2014”. 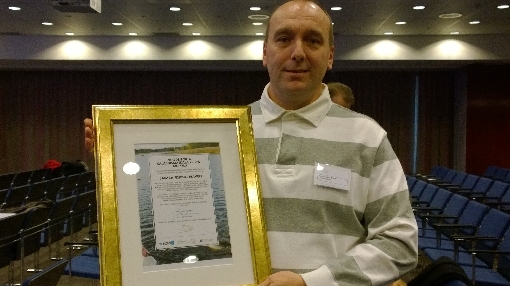 Mr. Mika Kärkkäinen, the director of the enterprise, received the diploma granted by the organiser, Finnish Fishing Innovation Center Association (KAAOS) at GoExpo Exhibition that was arranged 7.3.2014 in Messukeskus, Helsinki Exhibition & Convention Centre. Saimaa Fishing Travels operates mainly around Mikkeli area in Eastern Finland and arranges fishing trips on Lake Saimaa, the biggest lake of Finland. Saimaa Fishing Travels offers trolling and spinning trips as well as winter fishing experiences. By networking with accommodation companies and other travel enterprises, Saimaa Fishing Travels has developed excellent services for customers interested in fishing trips and holidays. The winner was awarded the prize of EURO 3.000, donated by the Finnish Tourist Board.